Use the code style button </> in editor menu to format code. You must look for nearest open order price below Ask. 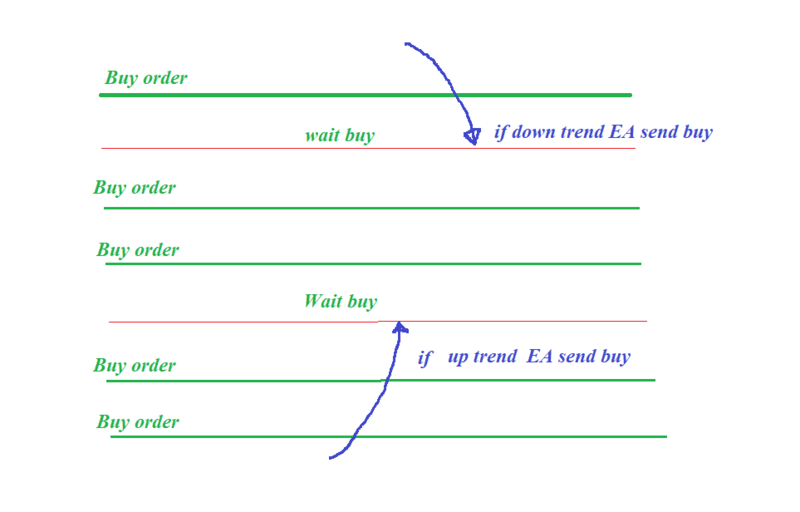 If distance is greater grid step, open buy order. You must look for nearest open order price above Ask. If distance is greater grid step, open buy order. // to do: what if not exist?